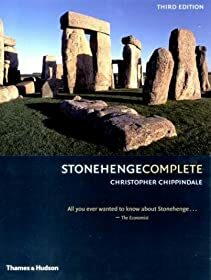 Built in several stages between about 3000 and 2000 BCE, Stonehenge is a circle of massive megaliths that weigh many tons, fit together perfectly, and are aligned with the stars. Location map of Stonehenge. Click image for a larger, interactive view. Aerial view of Stonehenge. Click image for a larger, interactive view. Stonehenge is listed on the National Heritage List for England with the following data. Some information may have become outdated since the date of listing. Text courtesy of Historic England. © Crown Copyright, reprinted under the Open Government License. The monument, which falls into three areas, includes Stonehenge, the Avenue, and three bowl barrows forming part of a linear round barrow cemetery which is bisected by the Avenue 1500m east of Stonehenge on Countess Farm. Stonehenge is located towards the western edge of a natural amphitheatre some 2km in diameter. This area is bounded in the west by the high plateau forming Stonehenge Down, on the north by an east-west ridge on which is located the western sector of the Cursus and its associated round barrow cemetery, on the east by a north-south ridge on which are sited the barrow cemeteries of New King Barrows and Old King Barrows and the Coneybury henge monument, and on the south by an east-west ridge on which is located the Normanton Down round barrow cemetery. North, John. Stonehenge: A New Interpretation of Prehistoric Man and the Cosmos. Free Press, 2007. Johnson, Anthony. 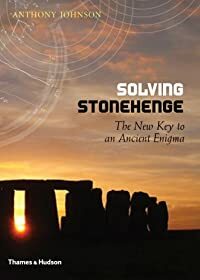 Solving Stonehenge: The Key to an Ancient Enigma. Thames & Hudson, 2008. Chippindale, Christopher. Stonehenge Complete. Thames & Hudson, 2004. National Geographic: Stonehenge Decoded. Nat'l Geographic Vid. View of Stonehenge from west. This famous monument was begun around 2000 BC, using 50-ton stones brought from the Marlborough Downs 20 miles away. Stonehenge, Wiltshire, England. Credit: Holly Hayes. Summer solstice sunrise at Stonehenge, June 21, 2005. Summer solstice sunrise at Stonehenge, June 21, 2005. Credit: Andrew Dunn .